Many properties that require weather data have traditionally relied on expensive, semi-automated single purpose solutions. 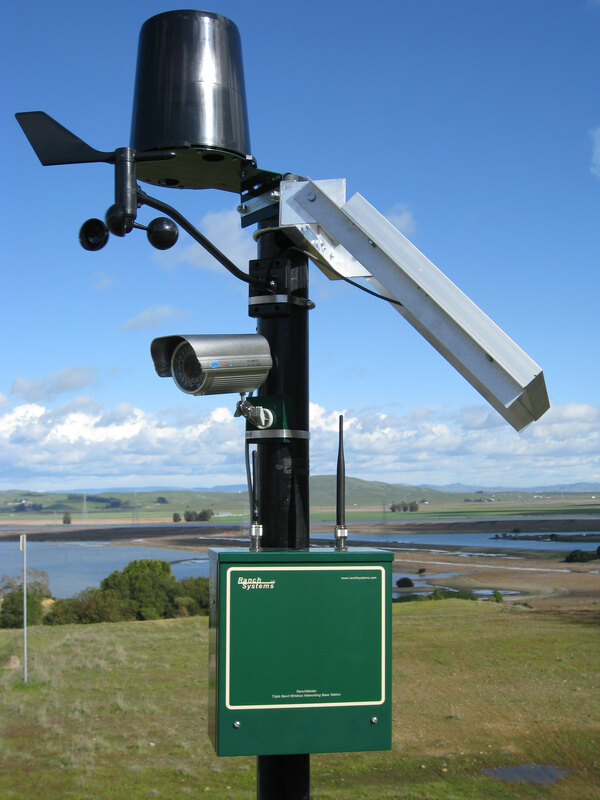 Ranch Systems offers a wireless base station that can serve as a full-function weather station while still acting as a central coordinator for other wireless nodes on the property. 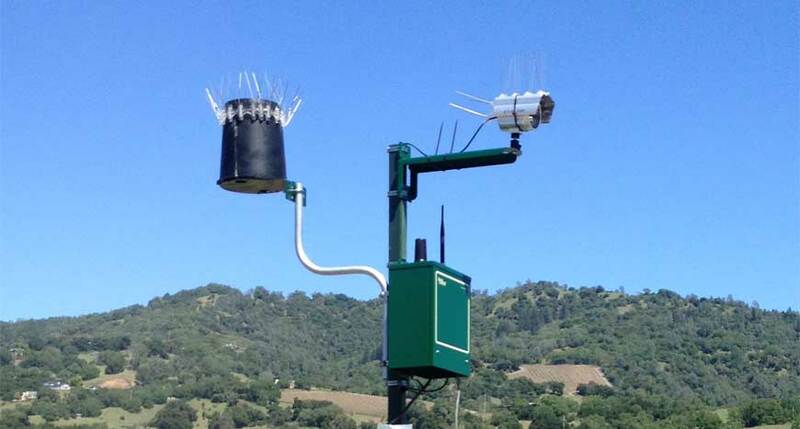 This solution provides core weather system data while offering the flexibility to add other modular solutions as needed, like microclimate monitoring, frost alerting, or irrigation measurement and control. Data gathered by the base station and sensors is transmitted to a secure datacenter for real-time viewing through Internet browsing software, on a PC, tablet or smartphone. 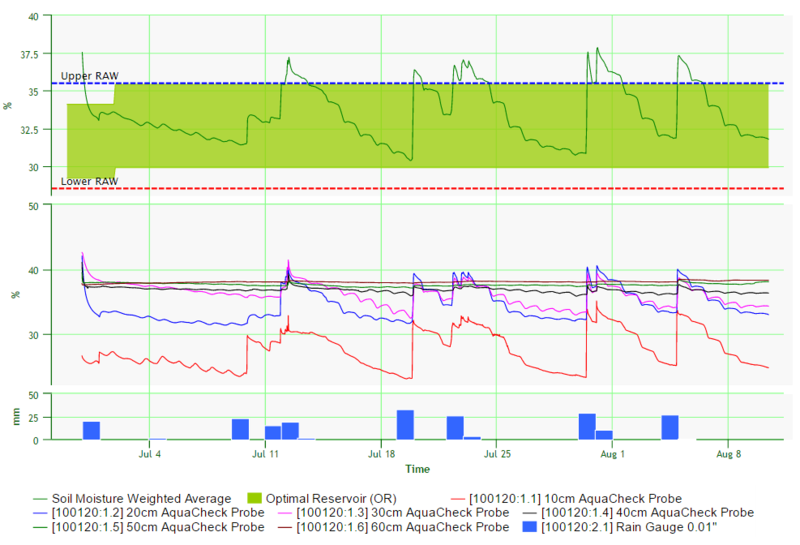 Charts and graphs allow comparison of data trends, and tie in to other deployed RanchMaster solutions. 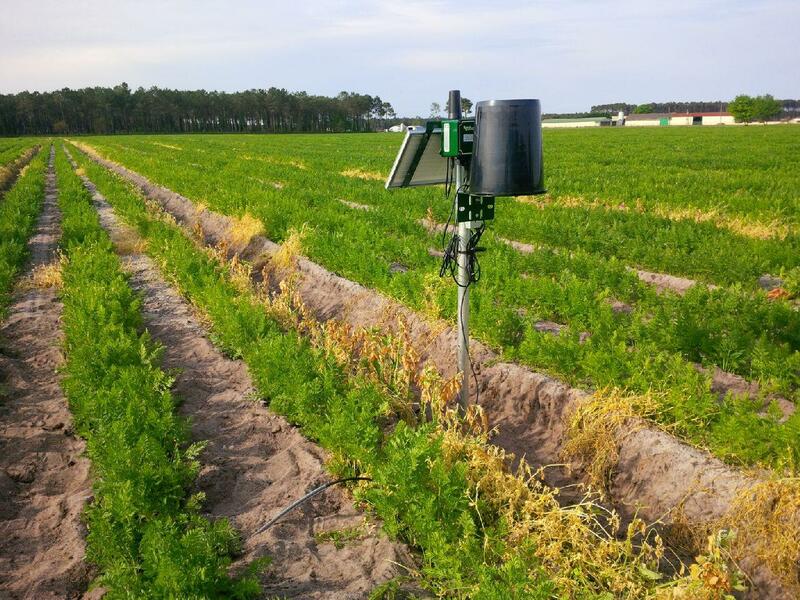 Whether the focus is on deficit irrigation or water conservation, accurate soil moisture measurement is essential to crop production and quality. 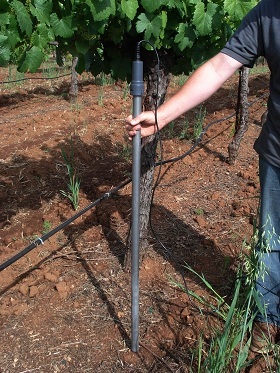 Furthermore, soil moisture can vary widely across and within properties based on soil type and terrain, requiring multiple measurement points to ensure accuracy. RanchMaster offers an effective and reliable way to measure soil moisture at multiple levels and at several points in a property, and to compare that data with other relevant information such as climate and water availability. 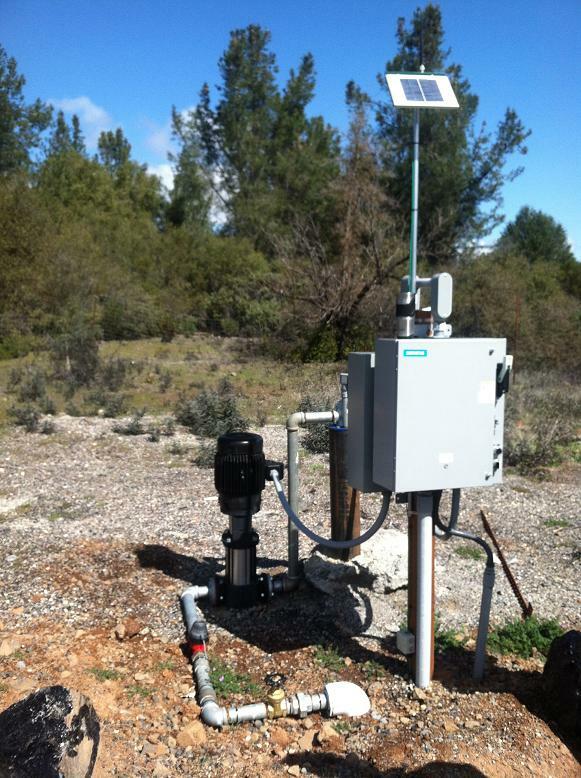 The system can be used for measurement and monitoring only, or can be combined with our irrigation control to activate valves for automatic irrigation scheduling. Data gathered by the base station, nodes, and sensors is transmitted to a secure datacenter for real-time viewing using any Internet enabled device and the on-line RanchMaster software. Charts and graphs allow comparison within and across zones and include a unique “Soil Moisture Profiler” showing a cross-section of the actual soil profile over time with color coding of the moisture levels. 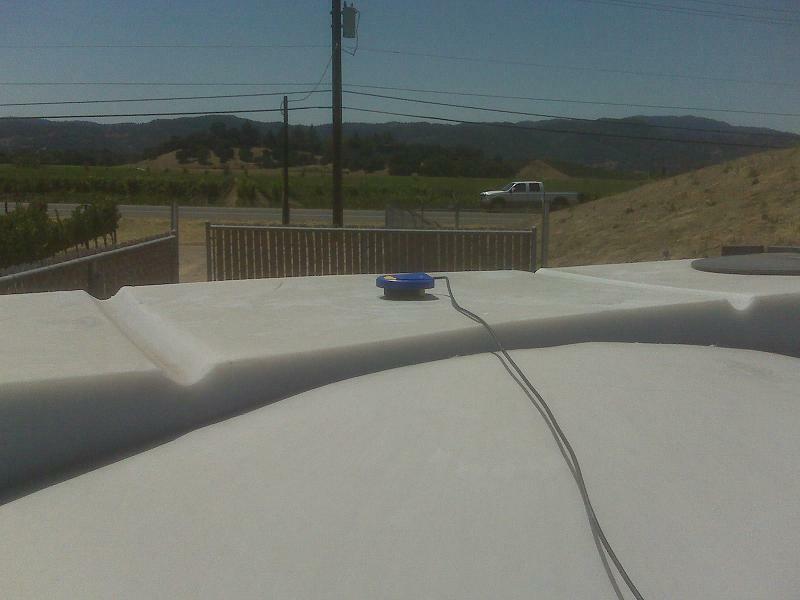 Irrigating multiple, large, and/or remote properties can be very labor intensive. In addition, it is often difficult to know exactly when (or if) valves were activated and whether or not the desired duration or amount of water distribution was achieved. Furthermore, in instances where immediate response is required, manual valve activation may not be an option. 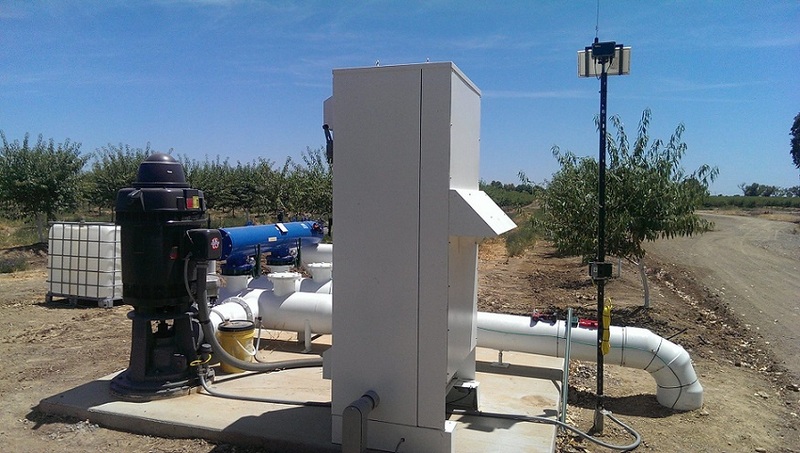 Ranch Systems offers an effective and reliable way to address these challenges by managing the full cycle of irrigation, from valve activation through water flow measurement to soil moisture tracking. 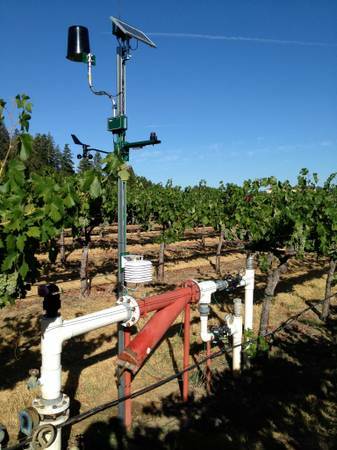 The system can be used only for measurement and monitoring, or can be used to activate valves for remote irrigation control or irrigation scheduling. Data gathered by the base station, nodes, and sensors is transmitted to a secure datacenter for real-time viewing using any internet enabled devise and the RanchMaster on-line application. Charts and graphs allow comparison of data trends, and are relatd to other deployed RanchMaster solutions. 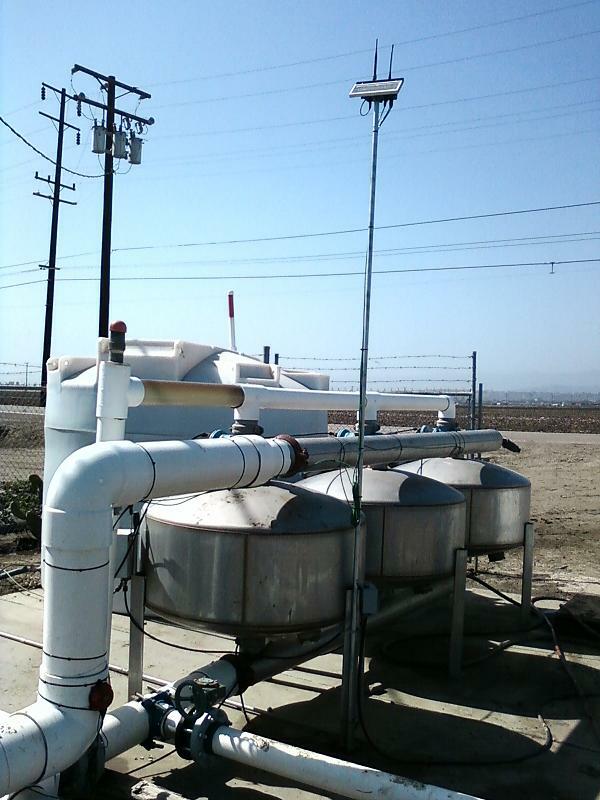 Ranch Systems products are ideal for remote monitoring and control of pumps, whether electric or engine-driven. The solutions range from simple on-off monitoring using a pressure transducer to complete monitoring of engine statistics and start/stop of engine. 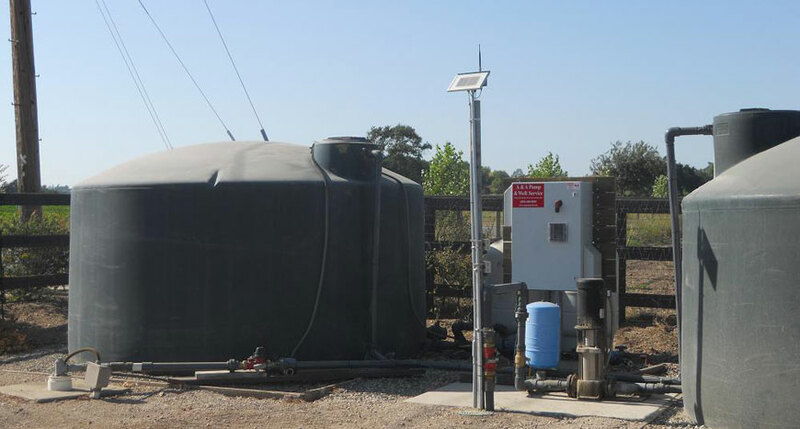 The most advanced control is enabled by the partnership between Ranch Systems and Murphy Corporation and Macquarrie Corporation in Australia, allowing any suitable Murphy-controlled engine to be monitored and controlled on-line. 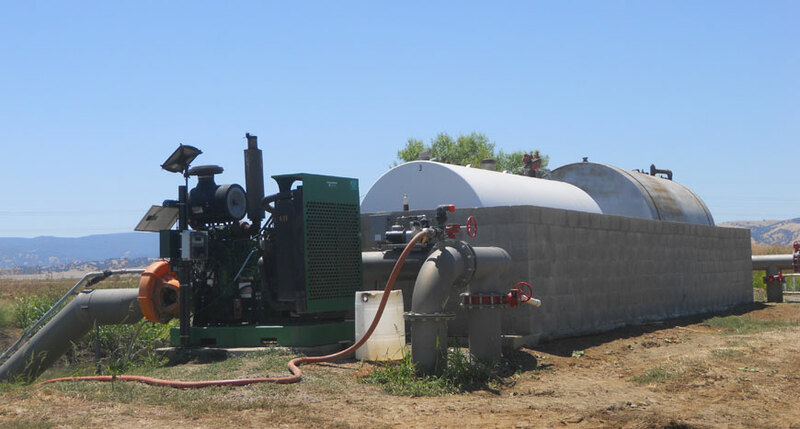 RanchMaster is capable of remote monitoring and controlling engine-driven equipment such as irrigation and mining pumps, generators or wind machines or any other engine-driven equipment. The solutions range from simple on-off monitoring using an oil pressure transducer to complete monitoring of engine statistics and start/stop of engine. 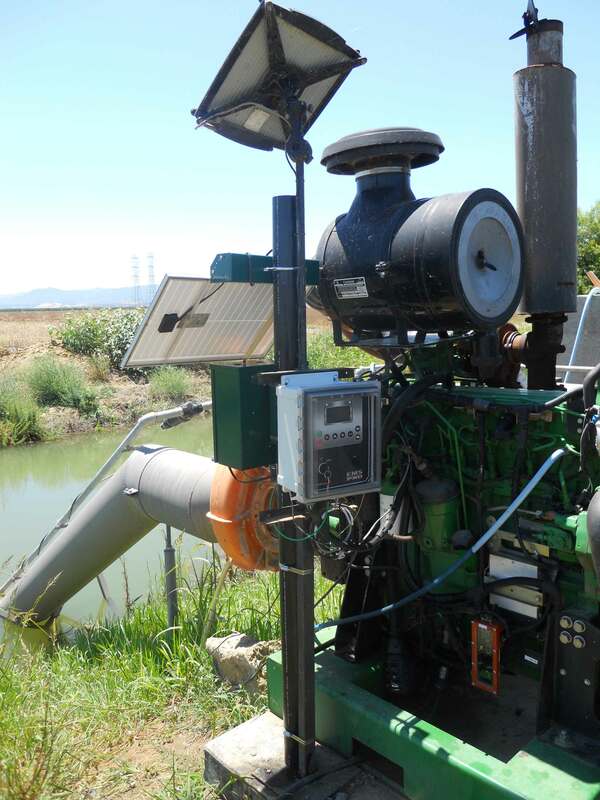 The RanchMaseter RM210 or RS210 node unit is connected to the engine controller or transducers. This unit regularly samples key statistics and transmits back to the RanchMaster online software application. When the user decides to start or stop, or when indicated by a program defined online, the signal is transmitted back to the unit and then engine will follow the command, typically within seconds. The connectivity can be via cellular/mobile phone system or by direct internet connection. The most economical solution allows only monitoring; no remote control is provided. An RS210 CELLunit is placed near or on the engine and a pressure transducer is attached to the pressure line, typically using a T near an existing pressure gauge. The RS210-CELL will upload data to the online application every 30 minutes, providing detailed historic data on engine run time. 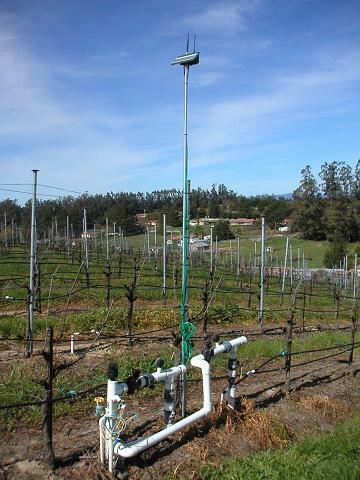 This can be used to indirectly determine such measures as gallons/kilolitres of irrigation water delivered, verification of frost protection equipment function and even the amount of fuel consumed. This is the most advanced solution provided both real-time monitoring and remote control. In this case, a Murhpy EMS-PRO controller is required. The Murphy controller is connected to an RM210 base station unit using a special cable providing both power and RS-485 network communications. Cellular/mobile coverage is required, or optionally a nearby direct Internet connection (e.g. WiFi). The RM210 will pull current engine data at regular intervals (typically 5 or 15 minutes) and deliver this to the online application via the cellular/mobile network. Whenever the user decides to turn engine on/off this is a few simply clicks in the online application. Control signals are then sent via cellular/mobile network to the RM210 and immediately after the RM210 will send the signal via the RS485 connection to the Murphy controller. Control delay depends on cellular/mobile network, but is typically less than 1 minute. The remote control can be ad-hoc, meaning the user decides to turn on or off and clicks a button in the online application. 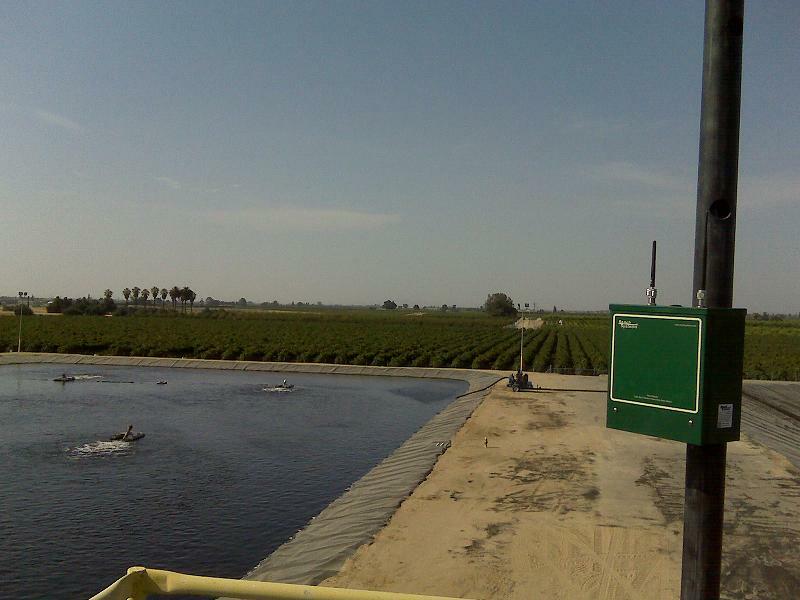 However, the control can also be programmed as part of an irrigation schedule and there by happen in a pre-determined fashion without requiring the user to go online. 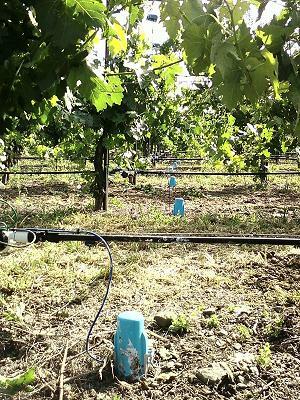 Finally, control could also happen as result of a rule reacting to input from another sensor in a Ranch Systems installation, such as a temperature sensor indicating frost or a level sensor indicating high or low water level. RanchMaster also has remote observation capabilities. As opposed to the common “web-cams” which continuously stream video, RanchMaster Remote Cameras record still-images at intervals of 15 minutes or 1 hour and economically transmit them to the online software where they can be viewed in real-time or historically. 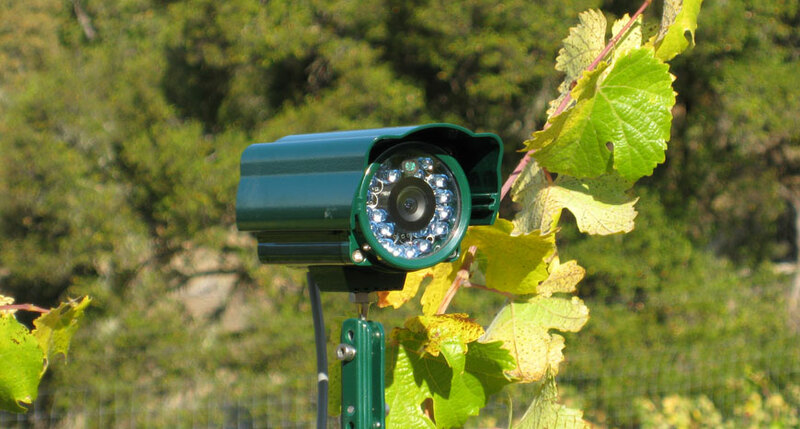 Cameras can also be activated by a sensory event like a motion detector being triggered. Also, a feed of images can be sent to a grower’s website for marketing purposes. Remote camera capability is an add-on to any RanchMaster base station and provides still-image recording in remote locations where normal online camera solutions are unavailable or impractical. It can either be used for simple monitoring by programming it to take images every 15 min or hour, or it can be combined with motion detector or access keypad for fully-fledged access control solution. Images are immediately uploaded to Ranch Cloud, where they can be browsed by authorized users. The camera also has a short-range infra-red night illumination. Images are presented online in a calendar view, making it easy to pin point the general activity on a site at certain time. It is ideal for progress monitoring of crop growth or construction projects, or for monitoring traffic, livestock and a variety of other objects. Apart from viewing images via the Ranch Systems applications, an image link can be inserted into the customer’s own website for presenting visitors with a live snapshot of the current activity at a site. The Alerting module enables early detection of problem conditions. 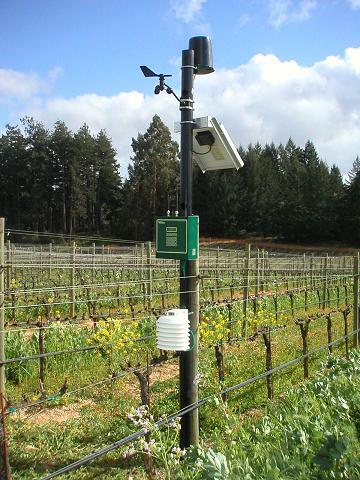 Alert conditions and recipients are defined by growers and can be based on any type of collected data. Rules for triggering alerts can be as simple as “<38” for frost alert or complex calculated formulas. Delivery can be by email, text message or phone. Alerts can be configured to repeatedly call multiple recipients until at least one recipient acknowledges the alert. 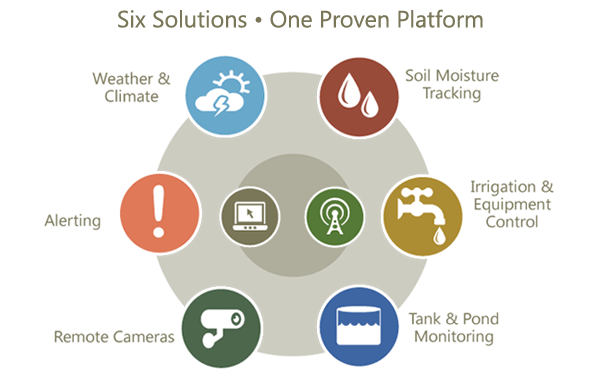 Ranch Systems software provides the capability for users to set custom alerts, for things like frost, heat, low water levels, or other parameters. 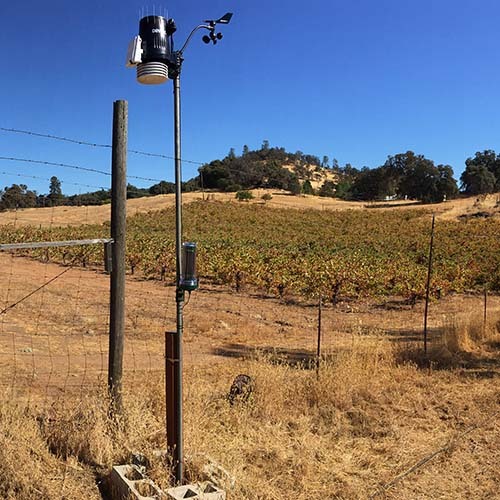 One of the most critical risks to vineyards and other agribusiness is frost, but ranch managers also face the risk of heat extremes that threaten crops and field workers, risk of breakdown of irrigation systems, and other problems. Common to these conditions is the need for quick action to mitigate the risk. Minutes can mean millions. 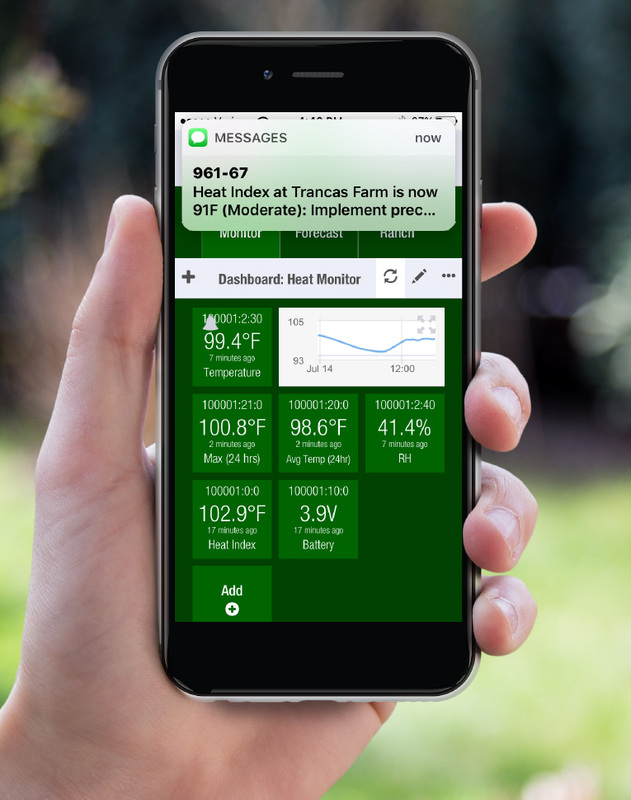 Ranch Systems addresses these challenges with an alert system that notifies you – using voice message, text messages or email – of any of wide range of critical conditions in the field that require prompt attention. Data is collected by sensors plugged directly into a base station or to nodes deployed miles around. Ranch managers control which specific conditions will trigger an alert and can set it up to alert employees with customizable messages. With online service, the voice messaging system is phonetically driven, so messages can be sent in any language. The system can be configured to repeatedly call multiple recipients until at least one recipient acknowledges the alert, and will note the alert recipient and time the alert was acknowledged. For dedicated alerting applications, we also offer the inexpensive RS210-CELL product providing ultra-fast alerting direct to any phone line or by text messages, using its own built-in cellular modem. End-user defined alerts like “temperature<38"